Who doesn’t love Minnie or Mickey Mouse? They’ve been a favorite in our house since our son was little. With my daughters first birthday coming up and it being a Minnie Mouse theme, our son wanted to craft some decorations to help with the party. 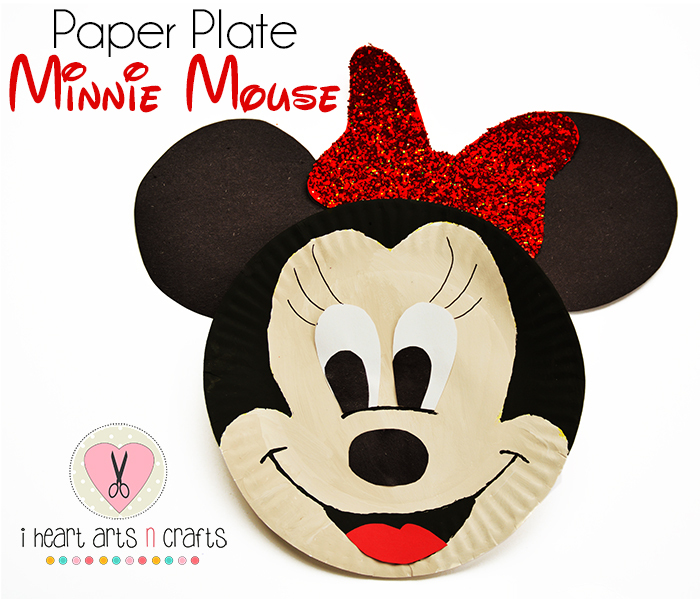 So we made these adorable Minnie Mouse paper plates, and I absolutely LOVE how they came out! 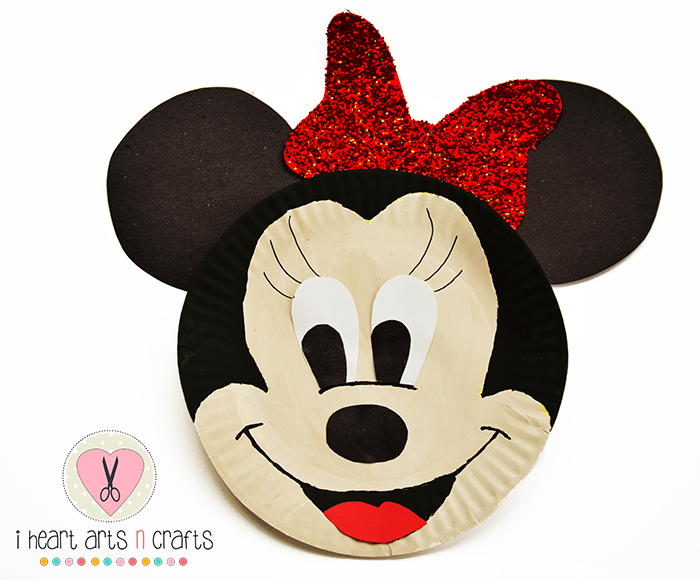 Of course you can remove the eye lashes and glitter bow and make your self a Mickey to go along with your Minnie Mouse craft. First you’ll trace the shape of Minnie’s face with a pencil so that you’ll know where to paint like the picture on the left, then fill in with the paint. Next cut out the shapes for the eyes, nose, and tongue with construction paper. Once the paint drys you can take a glue stick and glue on the eyes and nose. Paint on the mouth, the line under the nose, and the eyelashes. When the mouth is dried you can glue on the tongue. 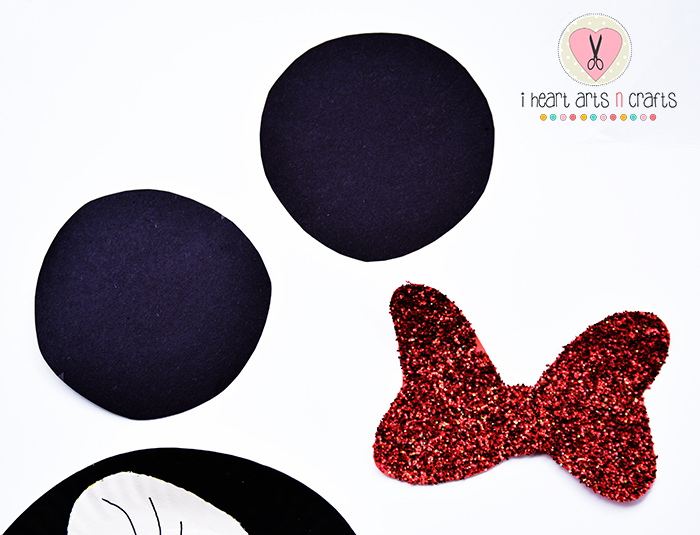 Cut out two circles for the ears and whatever color you prefer for the bow. We covered it in glue and went a little crazy with glitter ( because what 3 year old doesn’t love glitter!). Finally, you’ll attach the ears and bow when they’re dried. 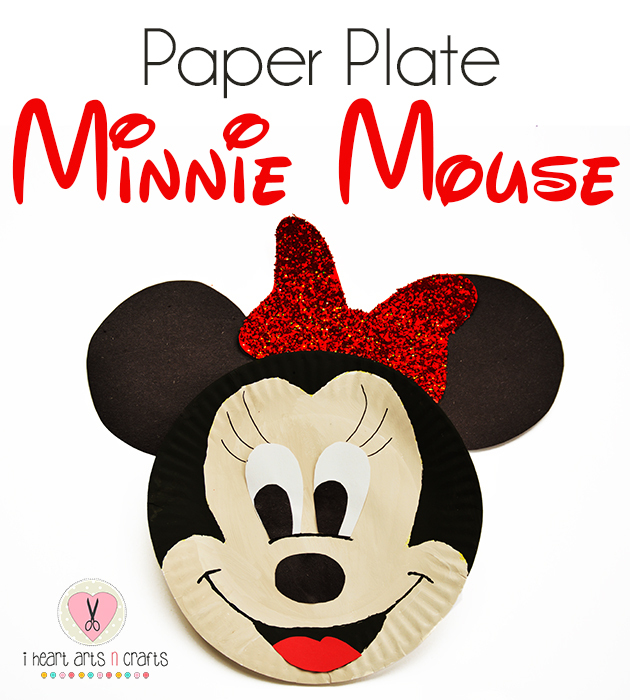 Know any little Minnie Mouse fans who would love this easy paper plate craft? Make sure to pin it for later and follow us on Pinterest for more fun kids crafts!